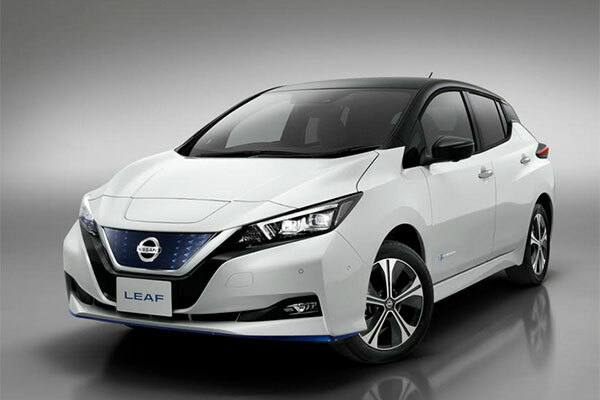 Japanese automaker Nissan today (January 9) unveiled the Nissan LEAF e+, further broadening the appeal of the world’s best-selling electric car by offering a new powertrain with additional power and range. The “e+” refers to the increased energy density of the model’s battery pack and the higher output of its powertrain. The new powertrain adds to the car’s range by approximately 40 per cent, ensuring that there’s a Nissan LEAF to meet the driving needs of a wider range of customers. More than 380,000 Nissan LEAF vehicles have been sold globally since the 100 per cent electric model first went on sale in 2010. Equipped with advanced technologies including the ProPILOT semi-autonomous driving system and e-Pedal mode for one-pedal driving, the Nissan LEAF embodies Nissan Intelligent Mobility, the company’s vision for changing how cars are powered, driven and integrated into society. Having pioneered mass-market electric cars with the Nissan LEAF, Nissan is continuing to promote alternative vehicle transportation. The Nissan LEAF plays a vital role in Nissan’s efforts to integrate electric vehicles and energy systems into customers’ lives – creating an “EV ecosystem.” Among these efforts is Nissan Energy, the company’s initiative for its electric vehicles to easily connect with energy systems to charge their batteries, power homes and businesses, or feed energy back to power grids, as well as new efforts to reuse batteries. The Nissan LEAF e+ is scheduled to join the Nissan LEAF at Nissan dealerships in Japan in late January 2019. US sales are expected to begin in the spring of 2019, and European sales will commence in mid-2019. The Nissan LEAF e+ features a new version of the Nissan LEAF’s revolutionary electric powertrain, delivering excellent energy efficiency and robust torque and power output. While the Nissan LEAF meets the needs of many customers with its driving range of up to 322 km (estimated WLTC Japan cycle), near-silent operation and smooth and responsive acceleration, the Nissan LEAF e+ offers more than40 per cent additional range of up to 458km (WLTC Japan cycle),allowing customers the ability to do more between charges. The high-capacity battery and more powerful motor in the LEAF e+ combine to produce 160 kilowatts of power and 340 Nm of torque, enabling faster acceleration when driving at high speeds. Accelerating from 80 kph to 120 kph is nearly 13 per cent quicker. This allows the LEAF e+ to confidently pass slower-moving vehicles, exit corners faster and more seamlessly and merge easily with fast-moving traffic. The top speed has increased by approximately 10 per cent for comfortable cruising. Thanks to an available new 70kW (100kWpeak) Quick Charging system, the 2019 Nissan LEAF e+ can charge more efficiently than ever. Based on early testing, Nissan LEAF e+ owners can expect similar charging times when hooked up to a 100 kW charger as current Nissan LEAF owners do with a 50 kW charger, despite a 55 per cent larger battery storage capacity. Even with a25 per cent increase in energy density and the increase in energy storage capacity, the Nissan LEAF e+ battery pack is almost the same size and configuration as the pack in the Nissan LEAF. Other than a 5-millimeterincrease in overall height (16-inch wheels), the car’s exterior and interior dimensions are unchanged. Because ownership satisfaction and peace of mind are pivotal for all Nissan LEAF owners, the battery limited warranty of 8years/160,000 km (whichever occurs first) is standard for all versions. Other new features include Door-to-Door Navigation, which syncs the vehicle’s navigation system with a compatible smartphone for seamless driving and walking directions. The Connections feature allows any of the car’s passengers to quickly and easily connect to a device within the vehicle.